Hulu for the iPad is still under development, but that doesn’t mean you can’t watch Hulu content and TV shows right now on your iPad. 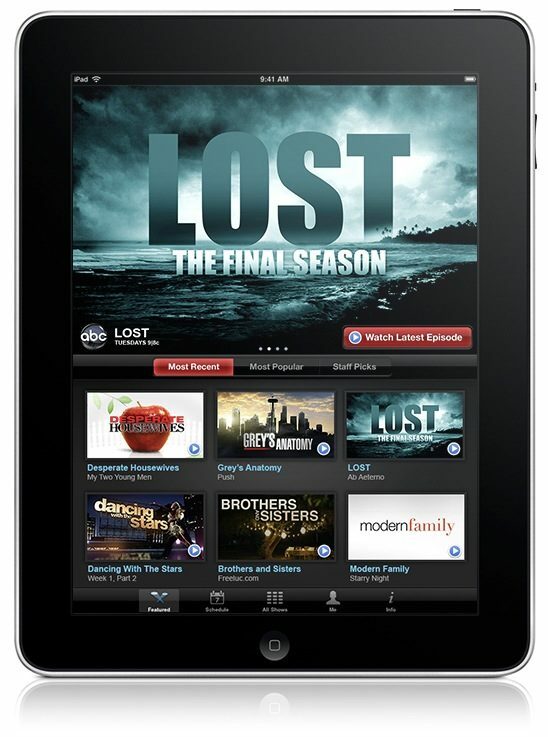 If you’re a fan of ABC shows like LOST, Flash Forward, Grey’s Anatomy, Modern Family, Desperate Housewives, Jimmy Kimmel Live, and whatever else is on their lineup, the official ABC Player for iPad is free [iTunes link] and works practically identically to Hulu and lets you stream any TV show to your iPad for viewing free. 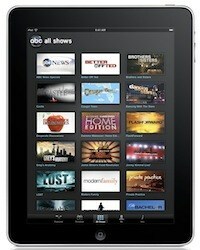 Hulu for the iPad is rumored to be available sometime relatively soon, possibly even before the end of this month. There’s speculation that the Hulu for iPad app will actually be a paid monthly subscription service costing $9.95, which is interesting considering one of the Hulu partners, ABC, has the aforementioned freely available ABC Player available on the iPad. Another option for watching video content on your iPad right now is the freely available Netflix app [iTunes link] but that requires a separate subscription service to actually view the Netflix downloads on your iPad. Basically by watching Hulu and then recording the screen and capturing audio, you can save the screencast to an iPhone/iPad compatible format and watch it on the devices. The method was intended for viewing Hulu on the iPhone but works on the iPad as well, unfortunately it’s not the most instantaneous method, but if there’s a show that’s only available on Hulu and you can’t wait for the official app, this is your best bet. Thats not watching Hulu on iPad. That is watching Hulu on desktop and then rewatching it on iPad. This is the dumbest method I have come across. If I have to watch it on Desktop, why would I deal with the iPad? ABC player is ABC Hulu, I use it on my iPad trust me. The recording screen casting is uniquely strange but it might be better than shelling out $10/month when you *can* watch it free on your desktop. Yeah that’s not the real deal. This is a pain but— I’ve been doing Hulu, Boxee, ZincTV on iPhone and now iPad. Great for slow Netbooks too. I “restream” screencapture program– my 2nd monitor or selected window (800×600) back to myself 320×240. You can start a hulu stream then send it up to Justin.tv or use a slingbox. Change the stream, run boxee, or whatever you watch by connecting back using LogMeIn/vnc. Once it’s setup it goes faster but this is a minor pain. I got so sick of waiting for apple, hulu, ++ . Do it yourself. Don’t tell me how to watch my media. Ps – using sites like jtv to stream is awesome, but please, don’t ruin it. You didn’t make those shows. Stream to yourself and don’t advertise. Too bad the iPad can’t just use flash……..
What’s going on with this flash sh*t with apple? I understand that adobe and apple are having it out, but that doesn’t mean you should close your self off. You need to understand that there is a HUGE number of people that have Apple mobile devices that want to watch Hulu. I know I would love it. If ABC can make an app I know sure as hell you can. I know you might not be in love with HTML5, but I believe it’s the future. The official HULU app would be amazing. It would be the top app on all mobile devices. I don’t need to tell you this, you already know. So what the hell are you waiting for? I felt that way too, but then I read this article on Apple’s website, and it changed my opinion completely. Apple’s reason for not supporting flash is actually (for the first time, like…ever) not an entirely selfish one. They believe that the web should be built on open source foundations, which I have to say, I agree with through and through. Flash is propreitary, it costs up to $1000 to buy the software. HTML 5 is a new standard that has the same intention as flash (games, stream video, interactive websites), but is free 100%. Also, the ipad can probably run flash decently, but the iPhone I think, can’t. Too small. HTML 5 however , can be designed to run on different platforms, ajusting features and eye candy to fit the platform. Don’t get me wrong; flash was one of the most influential things on the internet (if not THE most). It change the way the world works, frankly. YouTube is flash, animations are flash, games are flash, websites are flash. alright i am getting very tired of this crap with flash and apple. I have also read the article by steve jobs on the apple site and believe it to be a complete load of crap. he contends that flash is inefficient (so is java) so what, that flash is based on old style technlogies (mouse based) so what it boils down to is that they wanted to deliever the “whole” internet but could not find a way to get their touch screen to interact with a very large percentage of the internet (flash) so they attack that technology. Ok none of this was a big deal when it was just the iphone because it was still a vast improvment over competing phone technology. but now the ipad tries to compete with tablet pc, albiet a much more portable one. I love my ipad but I am getting really angry that I have to run back to my desktop for the half of the internet it does not work with. Steve Jobs claims that the argument is over open technology, but their operating system for the ipad/iphone is not availible for other manufacturers to put on their mobile devices and sun microsystems still controls java, i do not see the claim of open technology. You have a valid point with java and maybe I don’t browse the Internet as much as you do but I don’t find myself “running back to my desktop” “half of the time”. I don’t buy that either. It would be great if it supported flash but it doesn’t. We can all complain about it but it won’t do anything. It is what it is. Deal with it or don’t buy it… I wouldn’t if I couldn’t use it “half the time”. Had I realized I would not be able to use Flash, I probably would not have bought the iPad. I was looking for compact portability while on vacation and had planned to do my travel blog AND picture upload. I did not find out about the Flash fiasco Until I tried to download Flash so I could upload my pictures to my blog. I was not a happy camper. While I do now use my iPad everyday and do like it a lot, I am still burned about the Flash thing. I go to a lot of sites where I need Flash. I also do not buy the “open” line. Apple is one of the least “open” companies I can think of. I just wish they would accept the FACT that Flash is all over the web and is an integral part of it and in order yo have “the full” web experience, you need Flash. I can’t it jut be for free like I don’t want to pay ten bucks just to w arch a quick show right now!!! 1.4 million realtors cant use the IPAD for MLS. MLS is an absolute essential Tools for agents. The IPAD is one of the best tools to ever become available for agents. No MLS means not enough of a reason for agents to pay high price. Steve is wrong. in this case 1+1 does not equal 2. Flash is a pile of bug-ridden, memory-leaking, inefficient code (it doesn’t even deserve being called software) that needs to join the ranks of DOS and similar mistakes that should never have seen the light of day in the first place, since there have been much better alternatives available, especially in terms of open source nowadays. How many people still turn a crank on the front of their cars to start them, other than for historical demonstrations of how difficult it is? People need to stop being lemmings, and assert their right to the best software and features available – just say no to Flash and similar worthless drugs being foisted by corporate drones to keep them in the lifestyles to which they have become accustomed. Dude if flash needs to be thrown in the scrap heap that’s fine and that’s your opinion, however, it doesn’t change the fact that currently and probably for the forseeable future I can’t watch and see stuff I determine is important. Apple should stop trying to control the world (along with google) and just make products that are not frustrating for their consumers. It only annoys my SLIGHTLY that the iPhone doesnt have it, and usually there is an app for that. Come-on people, if you dont like it, dont buy it. You know it doesnt support Flash. Wether or not it should is a different story. Some great points there, an app I would suggest is the DISH Network app with sling. Being an employee I am able to watch all of my DVR recordings as well as any live TV programming. Not to mention set timers to record etc. It doesn’t use flash so as long as you have 3G or in a WiFi hotspot then you are set! The problem is that you buy a device to surf the internet and then find out that not all of the internet works on the device. Now that would even be ok but it turns out that some of the best of the internet(like Hulu) does not work on the device. To me that is Apple’s problem. They made a device that does not work on all the internet and even on many peoples favorite sites.